Gender equality at the bar will not happen unless current trends change. That’s the conclusion of a new report from the Bar Council of England & Wales. The report ‘Momentum Measures: Creating a diverse profession’ looked at historic data to forecast when equality might be achieved. 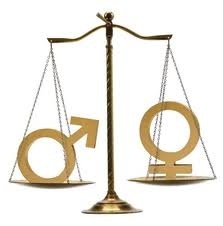 It found that fair balance between men and women called to the bar was achieved in 2000 and more women are now called than men. However women are more likely to leave the profession and less likely to convert the call to the bar into practice. For that reason, and unless the call to the bar increases to a 60:40 split in favour of women, the report says that gender equality in practice will not be achieved “in the foreseeable future”. The report also looked at the level of BAME (Black, Asian, Minority Ethnic) barristers has achieved or exceeded targets and there is now a higher proportion of practising BAME barristers than in the general population. The managing partner of Linklaters Asia region is one of the possible candidates to become the firm’s managing partner. Marc Harvey has been linked with the role along with three European-based partners. Although not seen as a frontrunner for the role Harvey has presided over the region for the last five years and made it one of the most profitable in the global firm. Greenberg Traurig has appointed a new senior executive as part of a management structure designed for the “evolving” law firm. Current chief executive Richard A. Rosenbaum will, subject to shareholder approval, be elevated to executive chairman from January 2016 with current co-president Brian Duffy assuming the CEO role. In a statement the firm says that the duo will work as a team on many issues but that Duffy will assume day-to-day responsibility for the US operations; suggesting that Rosenbaum will be focusing on the international operations with potential expansion. Baker & McKenzie has appointed Chan Leng Sun, SC chair of the firm's global international arbitration practice group. The practice is currently led by co-chairs in the US and Germany. Leng Sun has served as head of the dispute resolution practice of Baker & McKenzie. Wong & Leow in Singapore as well as the Asia Pacific lead for international arbitration.